Former Lotus FM station manager, Fakir Hassen will be inducted into the Radio Hall of Fame. Hassen has spent 30 years at the SABC is also an accomplished author of 7 books and the original Mr Bollywood of South Africa was nominated by regional radio station Eastwave Radio is humbled by the honor being accorded to him. 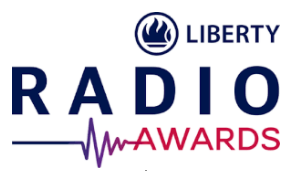 The Liberty Radio Awards Gala Banquet will be held on 22 April at the Sandton Convention Centre. The awards event formerly known as MTN Radio Awards is an acknowledgement that will be made of people who have made a significant contribution to the radio industry as well as of the young Bright Stars who will play a substantial role in the industry’s future. Previous Thor: Ragnarok Is Simply Badass!